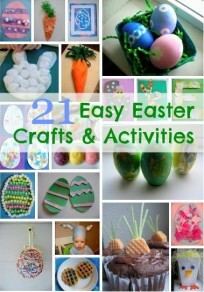 I have to confess, as much as I adore Easter, and all thing messy usually, I can’t stand dyeing eggs. There I said it. I don’t know why I dislike it so much, I just do. 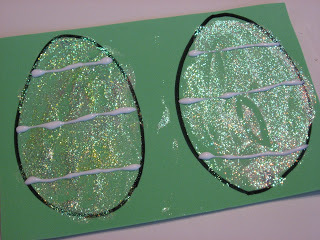 Instead of hard boiling, we used glitter and foam to make these easy Easter egg magnets! Gather your materials. 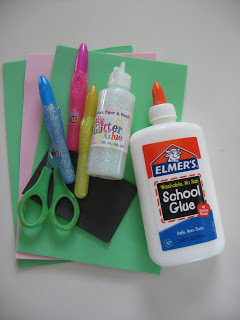 You will need some foam sheets, we used 2 colors but use as many as you have or want, some glue, a few colors of glitter glue, scissors, and magnetic tape. * word of caution when doing things with magnets and your children. Magnets can be really dangerous if swallowed so I always use these large pieces and make sure they are far too big to fit in a child’s mouth. Even when you think they are over the stick it all in my mouth stage, they will surprise you and it’s not worth the risk. 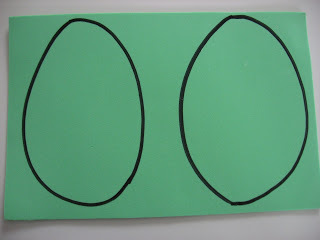 Start by drawing an oval or two on a sheet of foam with a marker. 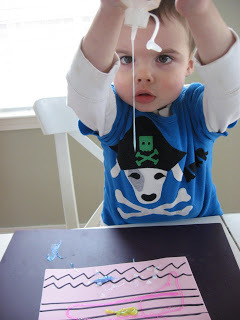 Have your child use the glitter glue to decorate, they don’t need to be exact or careful. A lot of glitter glue is tough to squeeze but if your child is anything like mine they will insist on doing it themselves. 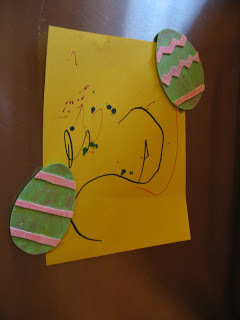 While they exert their independence and get glitter all over the egg and themselves, draw some lines and zig zags on a second sheet of foam. 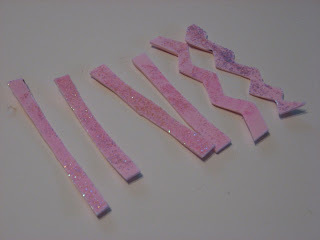 Rub the glitter around to spread it, Not only will this look cool, it cuts the drying time. 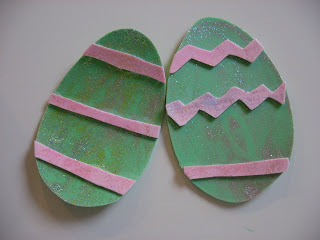 Decorate the 2nd sheet with glitter as well. Let the glitter glue dry. Cut out the stripes and zig zags. I added the glue in strips. I asked my son how many he wanted, but did the glue myself. 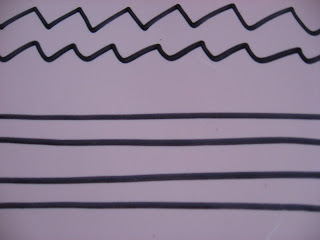 Add the stripes and zig zags and let dry. 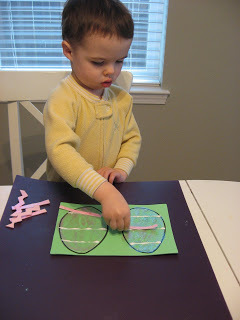 Use your Easter egg magnets to display your other artwork! 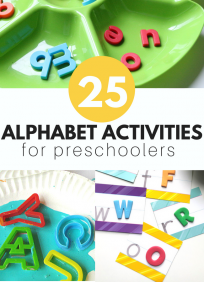 Previous Post: Parent’s Corner Extra :Reading is Playtime ! 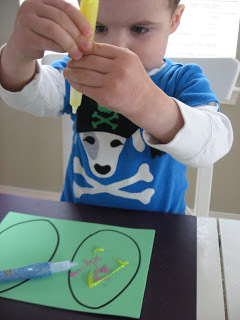 I love the concentration he shows while gluing! Great fun as always!!! 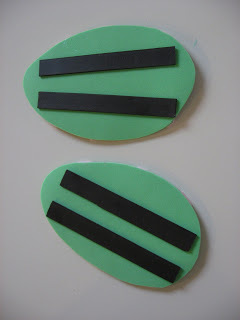 The magnet ideas is fabulous— I have an entire roll of magnet tape I need to start using! I never get tired of seeing that look of concentration-love it! Great projects this week, I’ll be linking. I was going to say the same thing about your son’s concentration while gluing. 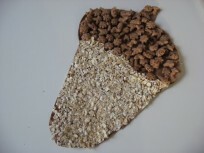 I love your blog and visit it regularly. 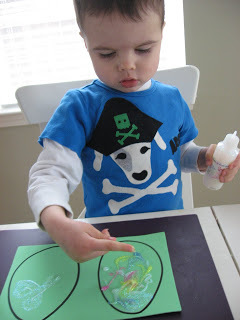 AS a 3 year old preschool teacher, I love seeing a BOY doing so many crafty activities. I have many in my class that never had before coming to my class. I have a boatload of plastic eggs. Thanks for the great ideas!